Are you looking for a challenging day walk that has stunning back-country scenery? Well, check out the Lake Rotoiti Circuit. 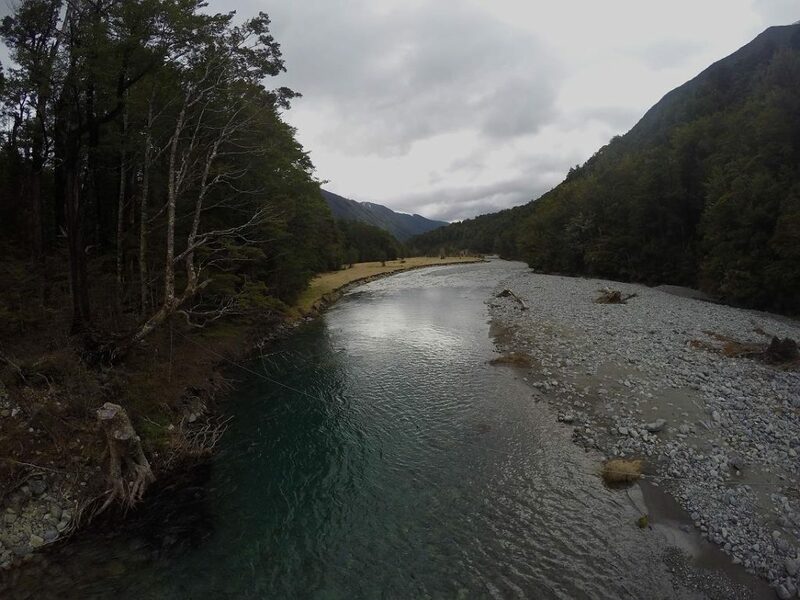 Located in the Nelson Lakes National Park, which is a 90 minute drive inland from either Nelson or Blenheim. 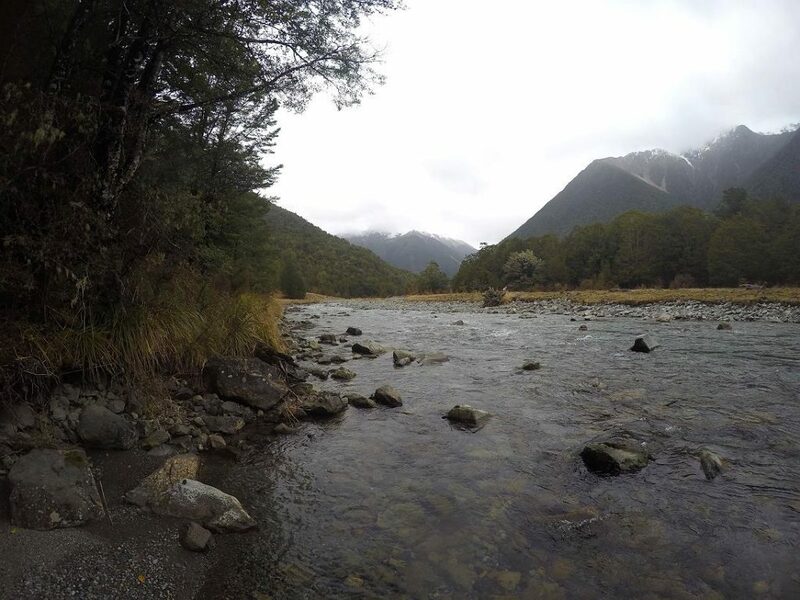 The town of St Arnaud is the gateway to the park, which sits on the edge of Lake Rotoiti. The alpine village provides the ideal base for people planning to hike in Nelson Lakes National Park. Nelson Lakes is definitely one of the hiking gems of Aotearoa and one of my favourite National Parks. 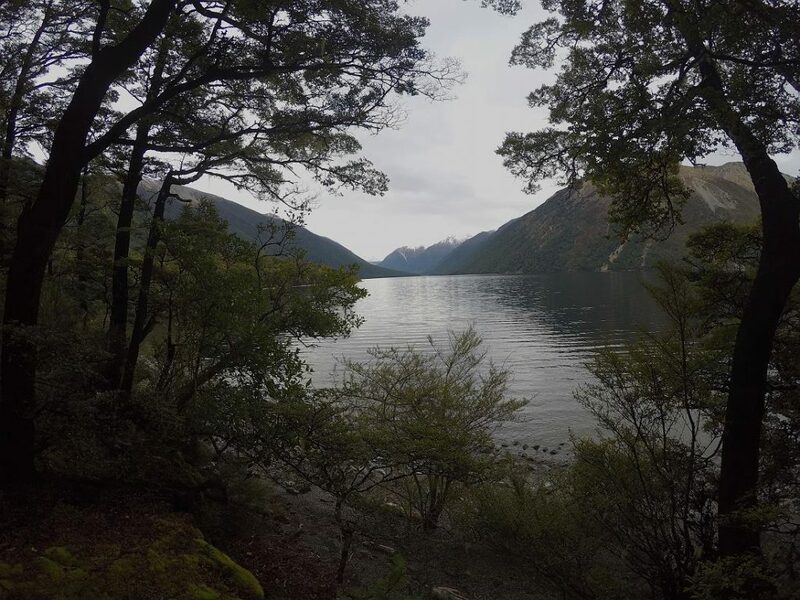 Depending on fitness levels, The Lake Rotoiti Circuit has a number of walking options available to you. This 31-kilometre loop is a fabulous full day walk and suited to hikers with a good level of base fitness. For a shorter walk, catch the water taxi to either Lake Head or Coldwater jetties and walk back to Kerr Bay. 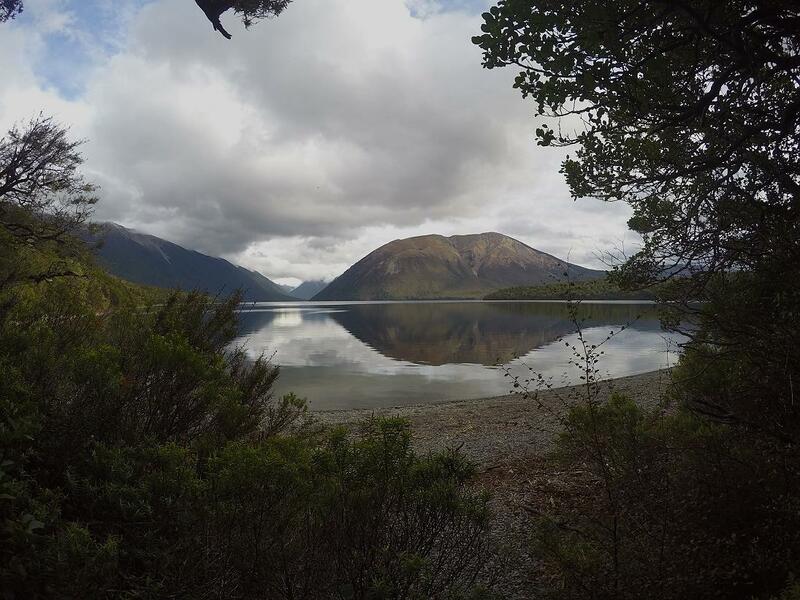 These shorter walks are another way to enjoy the beauty of Lake Rotoiti if the full day hike is not what you wanted. I’ll mention more about these options in the route description. Allow 7-10 hours to complete the 31-kilometre circuit. The track starts on the left side of Kerr Bay, where there are a shelter, campsite and toilets. There’s a large information board at the entrance to the track, this provides walking times and other information on walking in the Nelson Lakes National Park. Car parking is available next to the track entrance or there’s parking at the Nelson Lakes Visitors Centre. If parking at the visitor’s centre, follow the track behind the centre to the Kerr Bay Road. Follow the road down into Kerr Bay, heading to the left of Lake Rotoiti. There are a number of shorter walks in this area, with the track starting out on a well-benched track. This soon ends and becomes a tramping track which is often muddy and rooty in places, I recommend a good pair of tramping boots. The track is flat and easy to follow; it’s well-marked and follows the eastern shores of Lake Rotoiti. Although walking is mostly in the bush, there are many viewpoints of the lake and views across to Mt Robert. Red and silver beech dominate the parks forest and the home to a number of native birds; robin, bellbird, fantail and rifleman, which are often heard and seen buzzing about. The kaka, a forest parrot can also be heard but not always seen and keep an eye out for the spotted kiwi who also lives in the area. 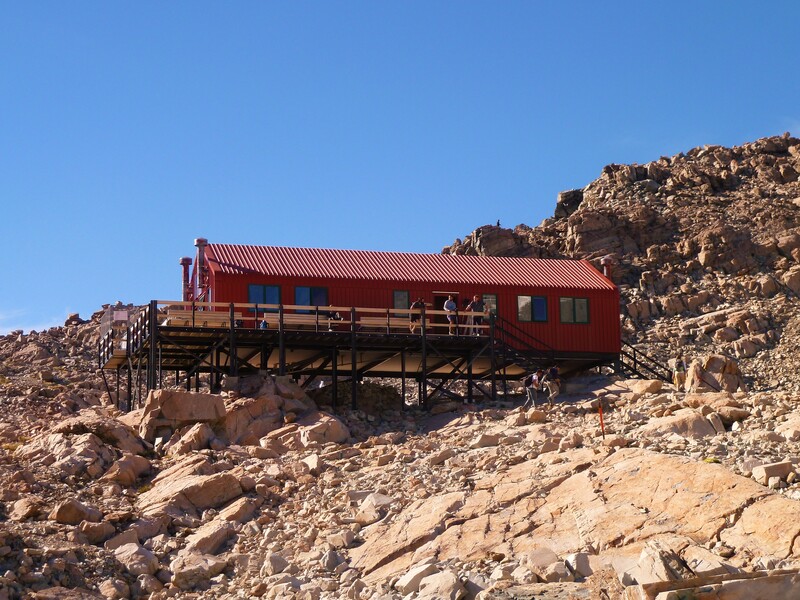 As the trail makes its way towards the head of the lake, the track passes the Lake Head jetty and a further 15 minutes of walking will bring you to the Lake Head Hut. Allow 2-3 hours for this section. If the 31-kilometre trek is not what you want, I suggest catching the water taxi to the Lake Head jetty and walking back to Kerr Bay. Lake Head Hut is a further 15 minutes up the valley, definitely worth the look if you have the time. This section of the walk has a shorter option if you planned on doing just the loop of Lake Rotoiti. The shorter route heads across the valley to the Travers River, which isn’t bridged. 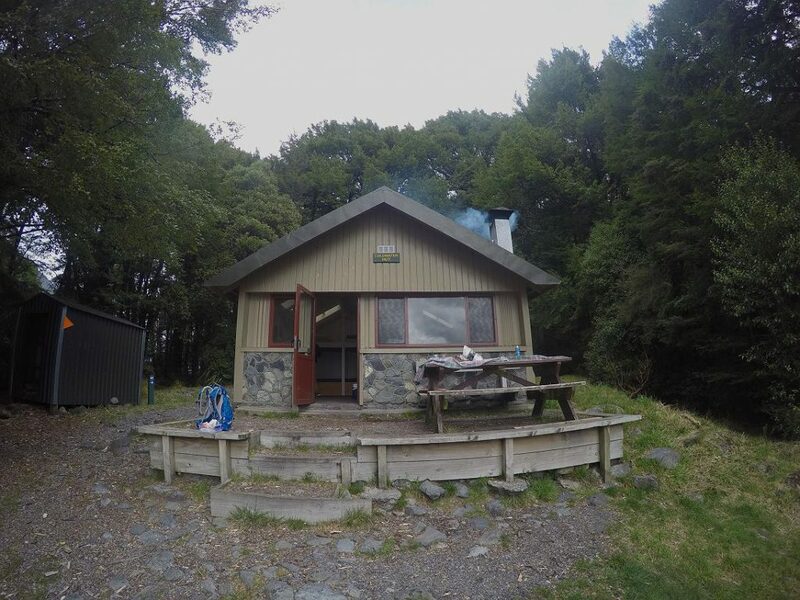 Coldwater Hut is on the edge of Lake Rotoiti and on the other side of the river. It’s about 2 kilometres between the huts and will take 30-50 minutes. The more scenic route heads up the valley, starting out on open grassy flats, with great views of the Travers Valley and then bush travel to the footbridge. Allow 60-90 minutes to reach the Travers Footbridge. The next section from the footbridge to Coldwater Hut is very scenic. There’s more bushwalking on this side with better views of the river, enjoy the scenery as the track meanders its way back to the lake. There are 2 track junctions in this section. The first one is the Cascade Track, which leads to Lake Angelus. 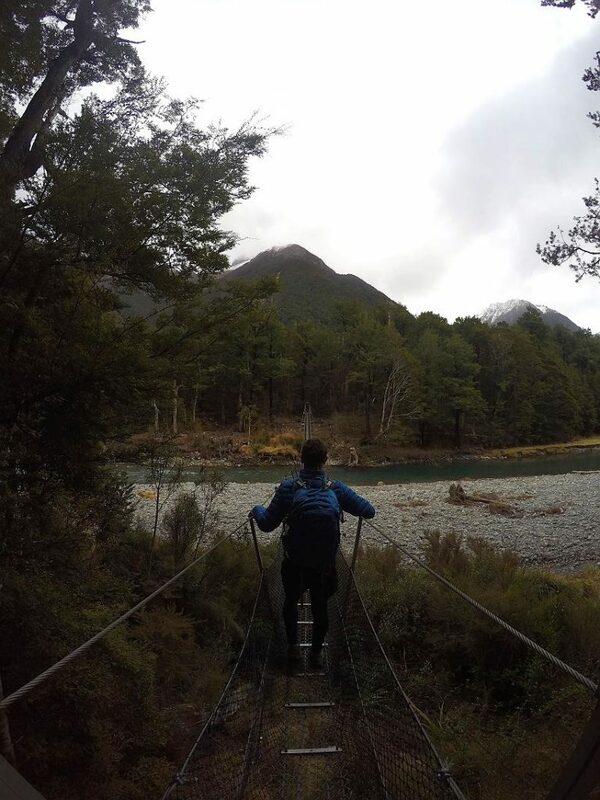 Take the track to the right which leads to the footbridge that crosses the Hukere Stream. The second junction is a little further down the valley and about 20 minutes before Coldwater Hut. This track is the one that comes across from Lake Head Hut. Continue on down the valley and keep an eye out for the paradise ducks. This section will take 60-90 minutes. Coldwater Hut is in a great place on the edge of Lake Rotoiti. However, like many beautiful spots in the Nelson Lakes National Park, sandflies are quite annoying. I recommend taking some repellent, it will definitely make your lunch break and other stops more enjoyable. From Coldwater Hut the track on this side of Lake Rotoiti is more undulating and follows the Lakeside Track to the Whisky Falls. This is one of the highlights in this section of the walk; allow 60 minutes to reach the falls junction. The climb up to the waterfall will take 5 minutes. 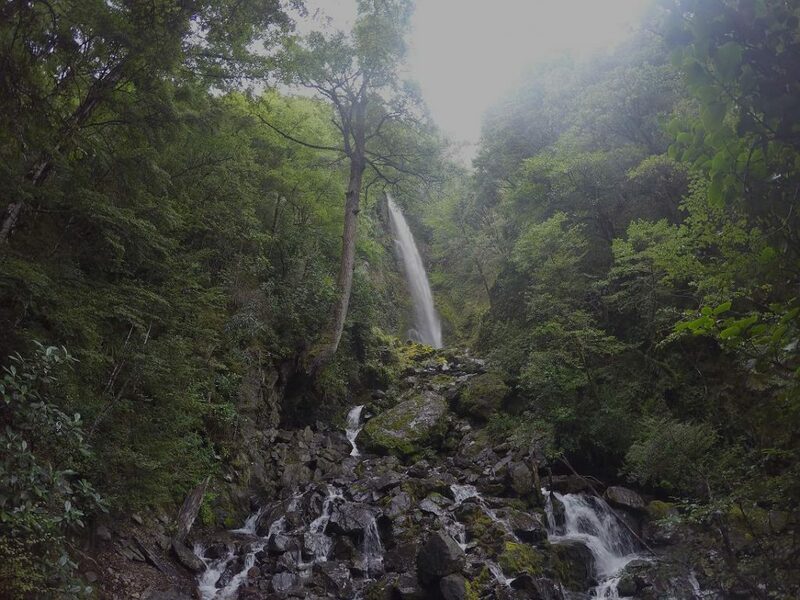 The Whisky Falls are 40 metres high; its viewpoint is in a lovely bush setting, with the falls in the background. From the Whisky Falls, the track continues along the edge of the lake and then climbs gently to the Mt Robert Road, allow 1-2 hours. From here follow the road down to West Bay and pick up the track from there. At this point, your almost finished…West Bay offers another great view of Lake Rotoiti. From here follow the track beside the lake to the next junction, about 5 minutes. Take the track to the left; it climbs up to the Lake Rotoiti Lodge. From here follow Lodge Road for about 500 metres and take another track to the right, its signposted. This leads to Ward Street; follow the road to the end, cross View Road to the visitor’s centre. For cars parked in Kerr Bay; take the track behind the centre and then on to Kerr Bay Road. Follow this into Kerr Bay and back to your car. Catch the water taxi to Coldwater Hut and walk back to Kerr Bay as above. Take the route across the Travers River to Lake Head Hut and then on to Kerr Bay. 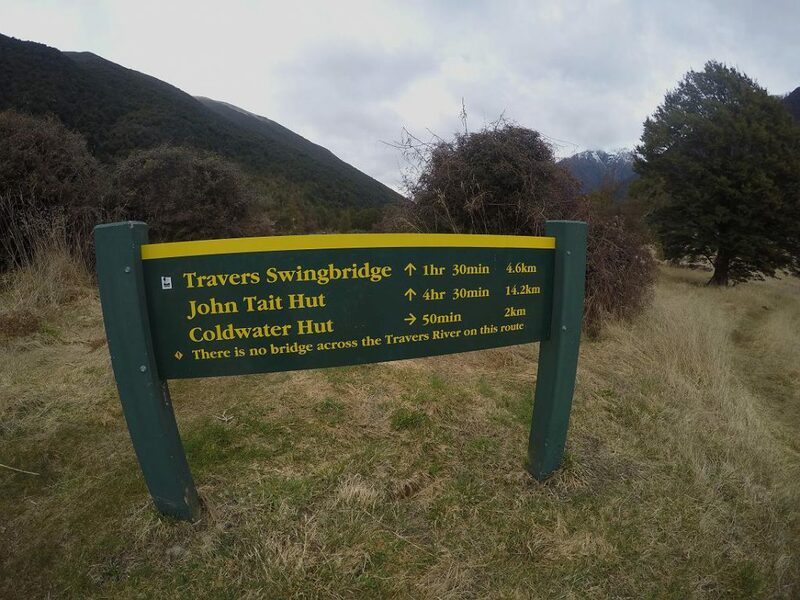 Take the scenic route up the Travers Valley to the footbridge and then down the other side of the Travers River to Lake Head Hut and Kerr Bay. This would be my recommendation if I was planning a shorter walk. Head for the alpine village of St Arnaud which is on State Highway 63. Coming from the north, take State Highway 63 from Blenheim, 103 kilometres. From the south, State Highway 6 from Murchison and then State Highway 63 on to St Arnaud, 80 kilometres. From St Arnaud, turn into Kerr Bay Road and follow until the lake or the Visitors Centre if you plan to park there. Its well signposted you can’t miss it. Using a daypack with a 20-30 litre capacity is what I recommend. Pack it with some warm clothes, food and drink. Take plenty of water, Lake Head and Coldwater Huts have water tanks if drink bottles need refilling. For more information on what to bring on your Nelson Lakes National Park walk and any other great day walks in New Zealand. Check my blog on what to take hiking. Click on Lake Rotoiti Circuit highlighted at the top of the map. The printing and PDF option at the bottom of this page will print or download the post except for the map. Once selected, choose ACTIONS to print the map. Find where the ascents and descents are? Plus the distance and height at any point on the map? Click on Lake Rotoiti Circuit highlighted at the top of the map. This will enlarge the map. Then tick the box to show elevation, the graph will appear below the map. Expect some variation in times depending on conditions and personal fitness levels. I’ve graded this a medium/hard walk, there’s a short climb from the lake to the Mt Robert road. The Lakeside Track is undulating; with the rest of the walk flat. The tracks are well-defined and well-marked. The major streams have bridges and the total walking time between 7 and 10 hours. Interested in discovering more of New Zealand’s incredible walks? Take a look at our Top Five Day Walks in NZ and other great walks throughout New Zealand. It’s a great way to see the rest the country.